Beirut (AFP) - The United Nations and Washington on Monday condemned air strikes on medical facilities and schools in Syria that the world body said killed almost 50 civilians, with the US implicating Russia. Also ahead of a hoped-for ceasefire, Kurdish fighters in northern Syria captured a key town despite Turkish cross-border shelling, a monitor said, as Ankara and Moscow traded accusations over their military entanglement in the conflict. Syria's President Bashar al-Assad poured cold water on the plan for a ceasefire to begin later this week, saying it would be "difficult" to implement. The UN said air strikes on at least five medical facilities and two schools in northern Syria's Aleppo and Idlib provinces killed nearly 50 civilians including children. UN chief Ban Ki-moon considers that "such attacks are blatant violations of international law", added the organisation's deputy spokesman Farhan Haq. The United States, which like the UN did not identify who carried out the air strikes, said two civilian hospitals were hit in and around Aleppo in northern Syria: one run by medical charity Medecins Sans Frontieres (MSF) and another in Azaz city. Such action "casts doubt on Russia's willingness and/or ability to help bring to a stop the continued brutality of the Assad regime against its own people", the State Department said. But Syria's ambassador to Moscow, Riad Haddad, said the hospital had been the target of a US raid. "American warplanes destroyed it. Russian warplanes had nothing to do with any of it -- the information that has been gathered will completely back that up," he told Russia's state television channel Rossiya 24. The increasing violence on the ground in Syria and war of words between Ankara and Moscow have dampened hopes that a proposed cessation of hostilities will take hold this week. "They are saying they want a ceasefire in a week. Who is capable of gathering all the conditions and requirements in a week? No one," Assad said in televised remarks. "A ceasefire must mean stopping terrorists from strengthening their positions. Moving weapons, equipment, terrorists or strengthening positions must all be forbidden," he added. 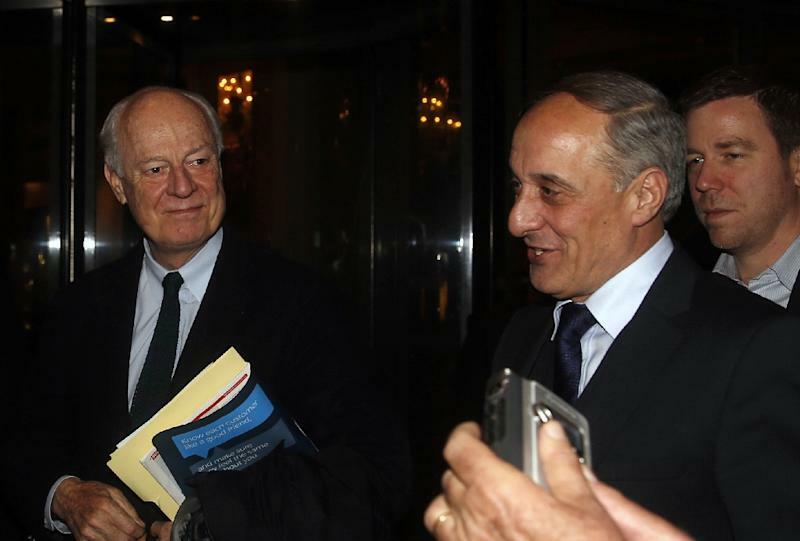 UN peace envoy for Syria Staffan de Mistura arrived Monday in Damascus, a government source there said, amid the ceasefire push. 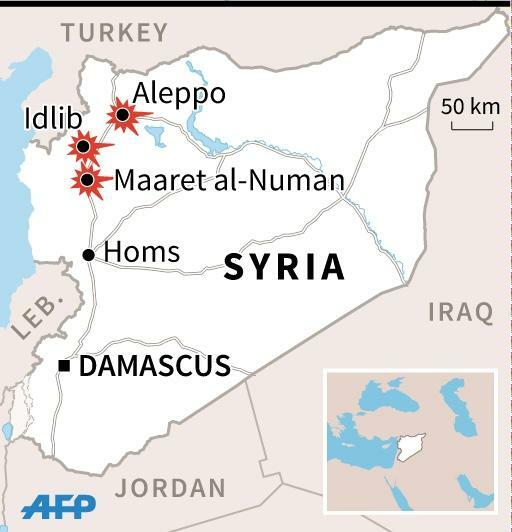 Without assigning blame, MSF confirmed a hospital supported by the charity was hit in Idlib, northwest Syria, and said seven people were killed and at least eight were missing, presumed dead. Turkey, meanwhile, resumed shelling Kurdish-led forces in several parts of Aleppo, alarmed by their recent advances against mostly Islamist rebels. Ankara accuses the Kurdish forces of ties to the outlawed Kurdistan Workers Party (PKK) that has waged a decades-long insurgency against Turkey. The Britain-based Syrian Observatory for Human Rights said at least two children were killed in Monday's shelling, and an AFP journalist on Turkey's border said Turkish howitzers fired for around 20 minutes from the Akcabaglar region. Despite the shelling, the coalition of Kurdish and Arab fighters known as the Syrian Democratic Forces (SDF) captured Tal Rifaat, the Observatory said. Barely 20 kilometres (12 miles) from the border, the town was seized from an alliance of mostly Islamist rebels. The SDF had already seized the nearby Minnigh airbase and severed the road between Tal Rifaat and rebel-held Azaz on the border. Observatory chief Rami Abdel Rahman said Turkish artillery on Monday fired on Tal Rifaat itself for the first time. Turkey fears the Kurds will be able to create a contiguous Kurdish territory just across the border in northern Syria. Turkish Prime Minister Ahmet Davutoglu warned earlier Monday that Ankara would not let Azaz fall to the SDF, adding that "the necessary intervention will be made". Moscow says its military intervention has targeted the Islamic State jihadist group and other "terrorists", but rights groups say Russia's raids have caused disproportionately high civilian casualties. 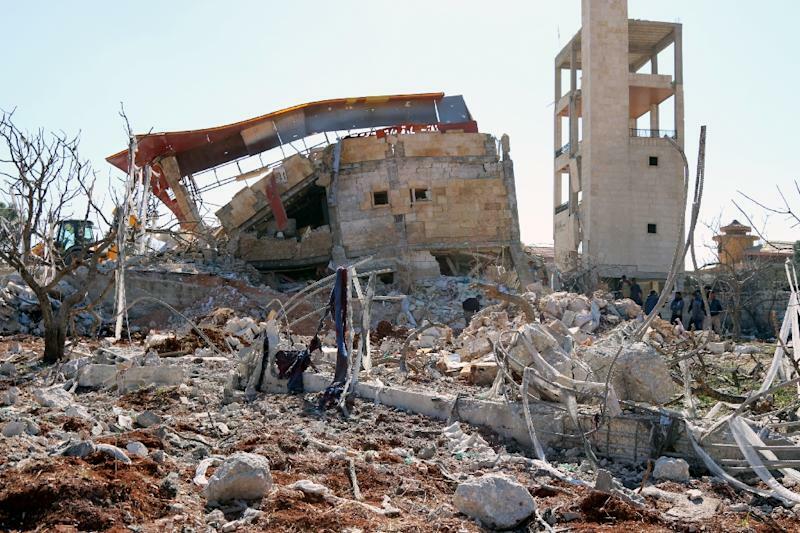 The MSF-supported hospital in Idlib is one of several health facilities Russia is accused of hitting since its aerial campaign began September 30. EU foreign policy chief Federica Mogherini branded the Idlib attack "unacceptable" and urged "all parties (to respect) basic principles of humanitarian law". Acts such as the "deliberate" bombardment of a hospital "constitute war crimes", said French Foreign Minister Jean-Marc Ayrault. The Observatory also reported 10 civilians, including three children, killed in suspected Russian strikes in and nearby Azaz. The strikes in Azaz hit near a hospital, it said. Russia's air strikes have allowed government forces to press a major operation that has virtually encircled rebels in eastern Aleppo city, as well as pushing them from much of the region to the north. They have angered Turkey, with Davutoglu on Monday warning: "If Russia continues behaving like a terrorist organisation and forcing civilians to flee, we will deliver an extremely decisive response." Moscow called Turkey's shelling in Syria "provocative" and said it supported raising the issue at the UN Security Council. A US State Department spokesperson urged Turkey and Russia to avoid any further escalation. "It is important that the Russians and Turks speak directly, and take measures to prevent escalation," the spokesperson told AFP. More than 260,000 people have been killed since Syria's conflict began with anti-government protests in March 2011.